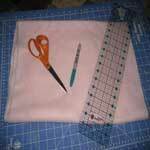 If you're not into sewing but want to make attractive items for your home or to give as gifts then no sew fleece is for you. 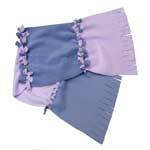 Fleece is a warm and soft fabric that is perfect for such things as a baby blanket. 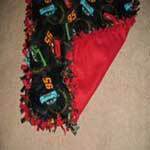 The projects listed below consist of pillows, poncho, scarves, blankets and more. 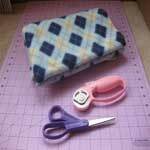 Enjoy making home and personal items with these no sew fleece patterns. 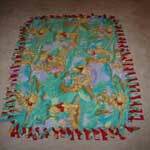 Make a good looking fleece blanket without any sewing using this detailed no-sew pattern. 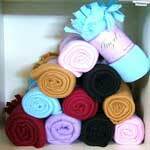 Keep warm this winter with a fleece scarf that can be made to match your winter attire. 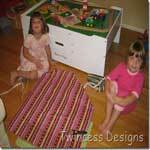 Make a fleece scarf for all your family and friends using this simple pattern with step by step illustrative pictures. 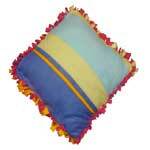 Make an old pillow new again by creating a pillow cover out of fleece fabric. Here’s a quick and easy to make shower gift. This is a pattern for a baby blanket any baby will love being wrapped in. Make an attractive fleece scarf in every color with this easy to follow no-sew pattern. 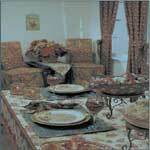 With this Thanksgiving pattern you can make a table setting that consists of a tablecloth, place mats, napkins and more. Quickly whip up a few of these tied baby blankets. Here are detailed instructions to help you make a scarf and give as a gift or to keep for yourself. 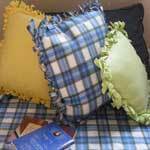 Decorating with throw pillows doesn’t have to be expensive, not when you make these no sew pillows. 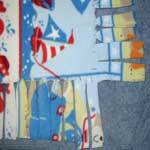 Give the sewing machine a rest with this pattern for an adorable funky purse. 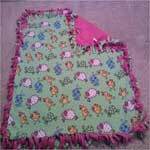 Keep baby warm and comfy in a fleece blanket you made using these simple instructions. Create a scarf for a boy or girl by choosing the right colors and prints and adding stars, beads and other miscellaneous to the fringe. 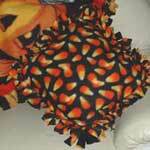 Easy no-sew pillow for Halloween or anytime - it's so easy it's spooky. 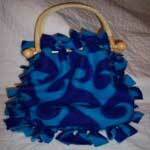 Here’s a charming hobo purse to make with flowers and fringe. 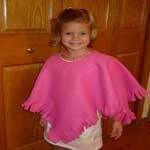 Make 2 ponchos using just one yard of fabric. 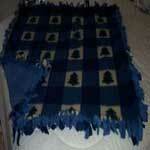 Great Christmas present ideas - no sew fleece blankets. This is a no sew free pattern. 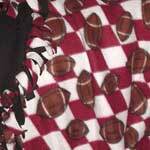 Use a neat pattern like a football team.